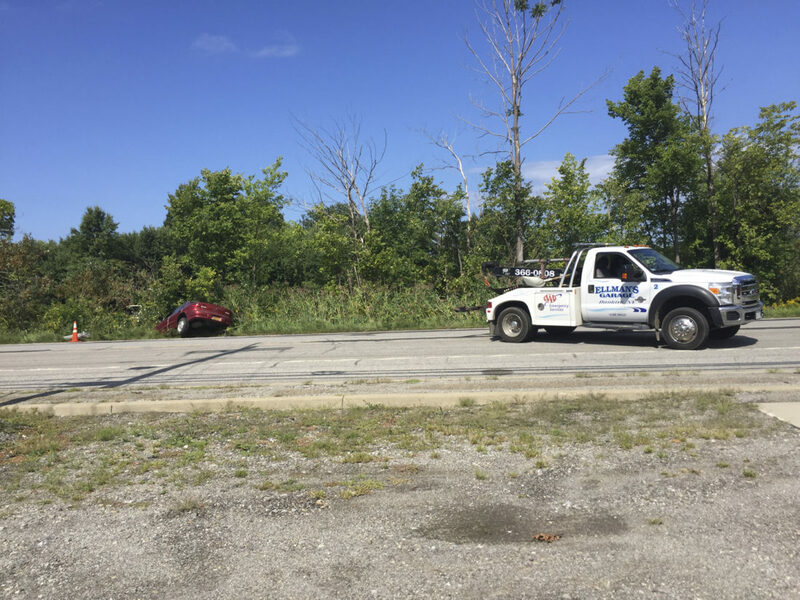 Route 5 in the town of Dunkirk was closed for several hours Thursday afternoon after a vehicle veered off the road and struck a utility pole. Emergency responders were called to the scene just after 1 p.m. for the report of a motor vehicle accident with possible injury. Responders arrived on scene to find a Chevy vehicle off the westbound lane in the brush. A utility pole snapped as a result of the crash. The driver, who was seen walking under his own power, was transported away from the scene via Alstar ambulance. West Dunkirk Fire Department, Chautauqua County sheriffs and National Grid also responded to the scene.